There are so many stunning and unreal landscapes throughout the park. If you can wake up for sunrise, it is worth it. 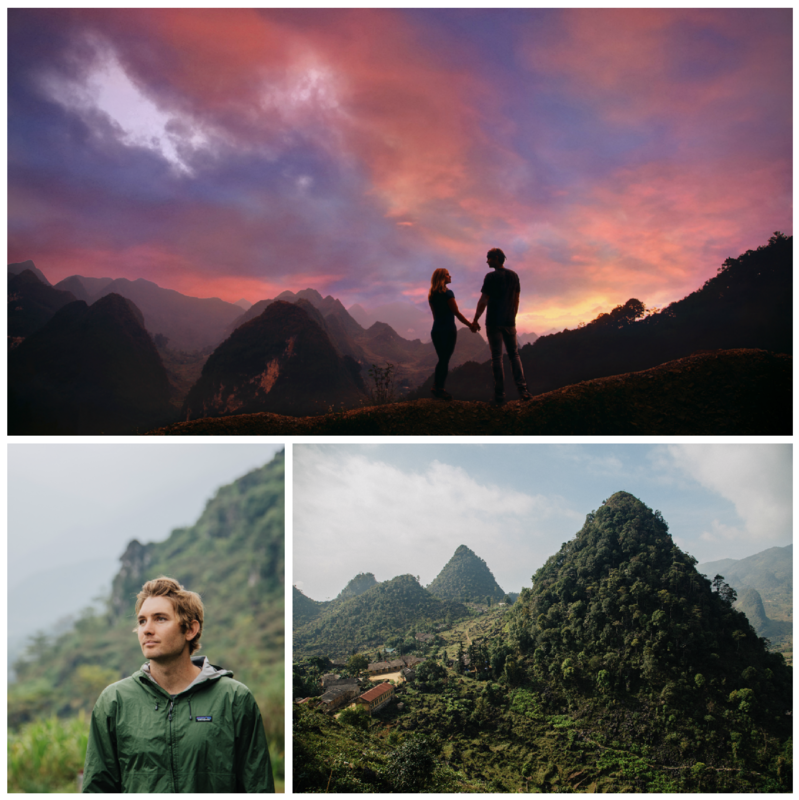 I was so excited for our adventures in northern Vietnam, but most excited for Ha Giang and the Dong Vang Karst Plateau Geopark. This less traveled little piece of land lies in the upper northeast corner of Vietnam, bordering China. There are a fair amount of adventurous backpackers that make their way out to this incredible place, but for the most part it still seems to be part of the tourism frontier. 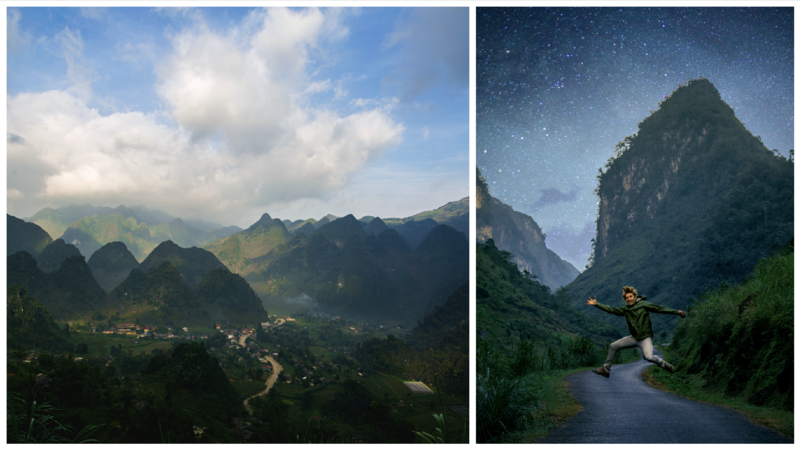 We could not find much information about the trip before arriving, so hopefully if you are planning to go to Ha Giang, this blog will help you out. Sunrise in the Dong Van Geopark in northern Vietnam. We traveled to Ha Giang from Sapa, on a crowded bus that despite a lack of bathroom breaks, still took about 6 hours to get to its destination. 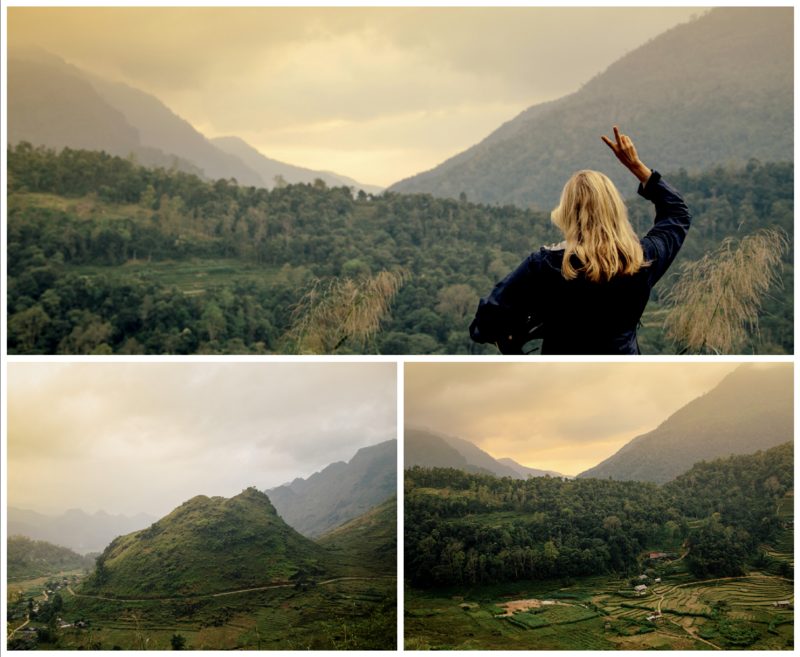 Ha Giang itself is a small, slow little city with almost no tourism. This is mostly just a pit stop on your way into the Geopark. Here you need to get your permits to enter the Dong Van Karst Plateau Geopark from the immigration office which is near the stadium. You also need to rent your motorbike which will be your mode of transportation through the park. The park itself is huge, and you end up motorbiking from place to place taking few stops despite how gorgeous every turn is, or else it would take forever. Jason and I traveled well over 200km exploring the park, so please do not rent a motorbike from just anyone. QT Motorbikes seem to be the most comprehensive and reliable company in town. They offer powerful motorbikes with insurance. They are available at all hours in case something happens to your bike in the Dong Vang Karst Plateau Geopark, they will come and fix the problem or retrieve you. They make you ride around and practice with the bike until they are sufficiently assured that you know what you are doing. There was a guy named Monkey who gave us an idea of what our best itinerary would be through the park for the amount of time we were planning on spending there, along with recommended lodgings. He also made sure that we had all of the extra cables and water protection we would need, at no extra charge. Technically you are not “allowed” to motorbike through Vietnam without a Vietnamese driver’s license. Unlike Thailand, the police do not care really, until there is a problem. So make sure that you are taking all the precautionary measures. If you are afraid of motor biking yourself, you can always hire a guide and ride on the back of their bike. 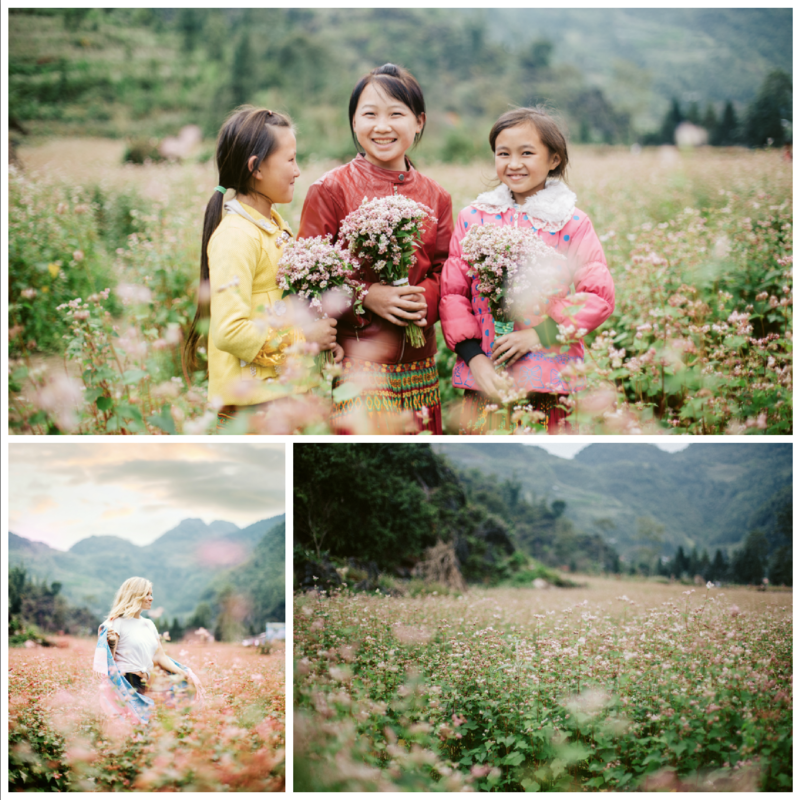 Local Village girls gather the beautiful buckwheat flowers that are blooming in November. Once you have your permit, and your bike, you are ready to explore! Prepare yourself for the most awesome landscapes and views you have ever seen as you twist and turn up, down and around a genuinely unique landscape of steep and jagged cliffs plunging hundreds of meters below you. You will hold your breath as local busses scream past you with no regard for how dangerously fast they are going on such a treacherous pass. It is terrifying, it is breathtaking, and it is an experience you won’t soon forget. This little town looked like a Seurat painting. There are many towns within the Geopark, and depending on how many days you are staying may determine how many you visit. Many of the towns on the way in to the park seem like your typical Vietnamese small town. As you get further into the park, and the towns turn into Villages, you will notice that the population becomes more ethnically diverse. The Ha Giang Province is the most ethnically diverse population in Vietnam, and 80% of its people live in remote, rural areas. As you traverse the thin and windy roads, you will see many H’mong, Tay, Dao and Nung. The women are easily recognizable by the traditional colorful scarves and skirts that they wear every day. Colorfully dressed H’mong, Tay, Dao and Nung women. 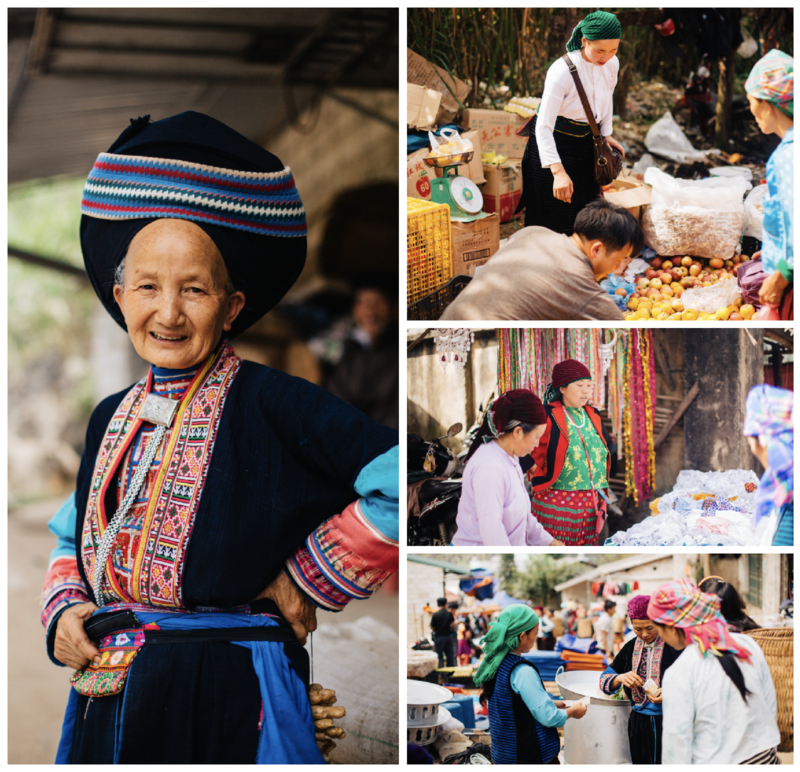 As you get deeper into Ha Giang you will notice that the people live much as they have for hundreds of years. The majority of the communities out here are based on agriculture. They grow rice or corn as their primary crop, along with many of their own fruits and vegetables. This work is all done manually, or with the help of buffalo. I was so impressed as I would see men, women, and children carrying huge (nearly twice their size) bustles of rice or straw or even trees on their shoulders and backs as they would climb up the steep mountainous terrain. 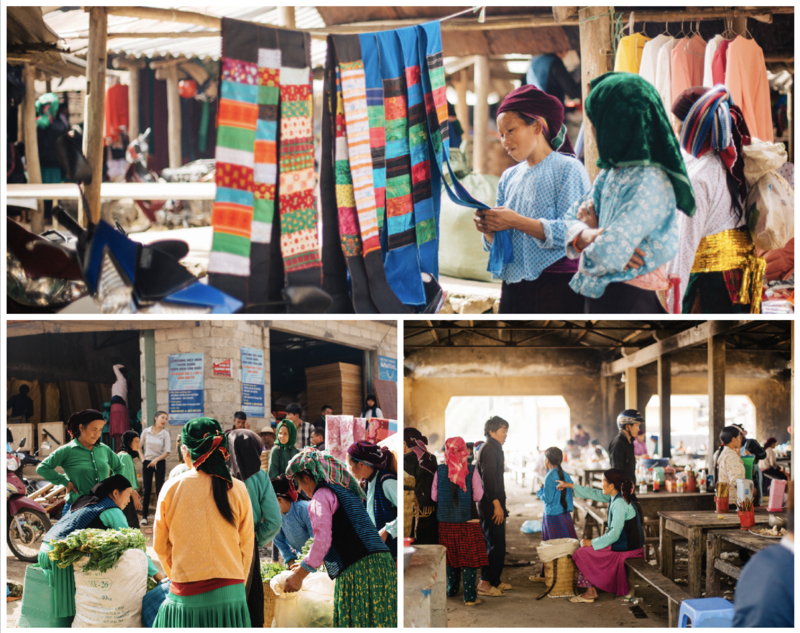 The local markets in the Dong Van Geopark are full of colorfully dressed women from the various Ethnic minorities that inhabit 80% of this province. We were told to head to Du Gia for our first night, which is barely on the map. I highly recommend going there to start. None of the towns here are particularly exciting. They are not places for tourists, they do not have coffee shops (I sadly discovered). But it is the journey between the towns that is the most incredible part, and this particular little stretch of land was my favorite. You will pass friendly villagers, where the kids will chase you down at the chance to say hello. You will see incredible landscapes that have somehow been tamed by human ingenuity. You will climb mountains that will give you some of the most incredible views you have ever seen in your life. It was great. Go to Du Gia. Colorfully dressed H’mong, Tay, Dao and Nung women selling their wares at a local market. 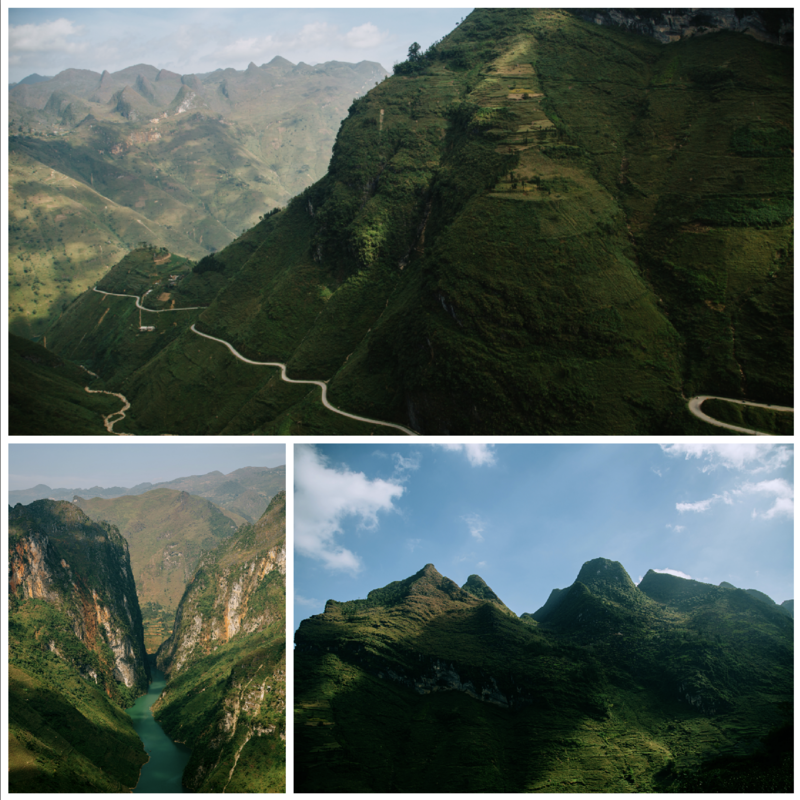 Side note – It is a long way from Ha Giang to Du Gia and we ended up traveling the last 2 hours at night, which I would not recommend. The roads are poor, and the best views are right near the town, which we were able to see the next morning, but not as we came in. I would recommend setting out for it no later than 10am so that you can take your time and stop and enjoy the views rather than rushing through them. Staying in these little towns, you will live a bit like a local. More than likely your hostel will serve you a dinner family style, and the accommodation is basically a big room with a bunch of mattresses on the floor. It definitely was not what we were expecting, but it was not as terrifying as we thought it would be. The Ma Pi Leng Pass. Sadly pictures do not do it justice. The next morning, we took off for Dong Van. This is the largest town within the Dong Van Geopark and sees quite a few tourists. Because it is more traveled, I did not get the friendliest vibe here, but it was nice to have a room all to ourselves for the night. On the way to Dong Van we went through the Ma Pi Leng Pass which is around 10km of stunning views. This was an absolute highlight of the trip, so please do not miss this drive. Sunset near Dong Van, the largest town in the Dong Van Geopark. So, after 3 days of driving, I could barely sit anymore, but it was definitely worth all of those near death collisions, and literal bumps in the road. The only regret I had was not spending more time in the park. We missed a few highlights such Heaven’s Gate and Lung Cu which I hear are both incredible. But we stopped and enjoyed ourselves in some pretty epic spots, making it so we had to zoom past others. I would recommend at least 5 days if you are planning it in the future. 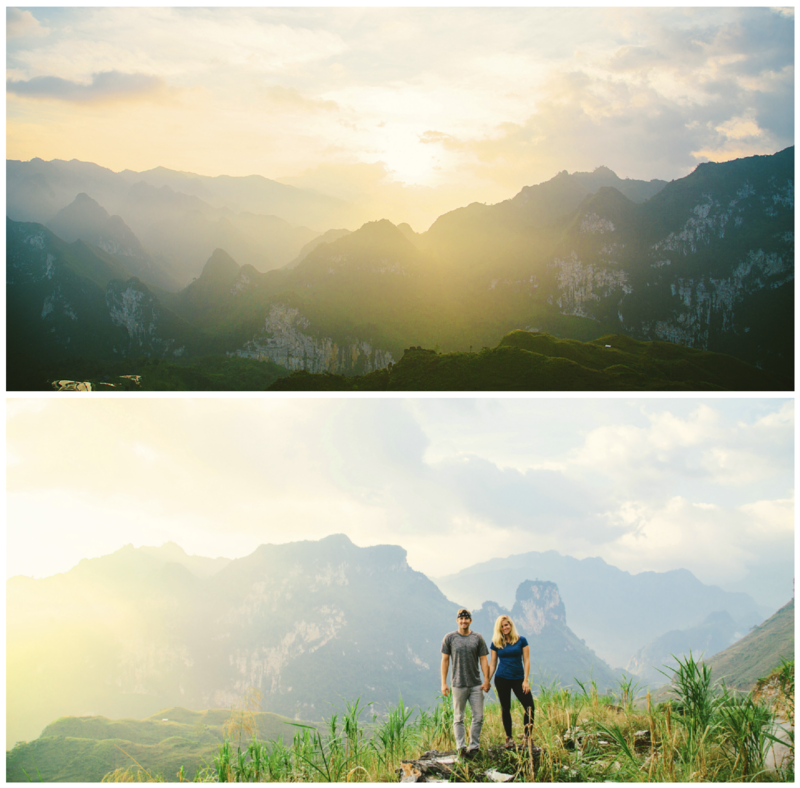 For more information on Ha Giang, watch our video about our experience there! 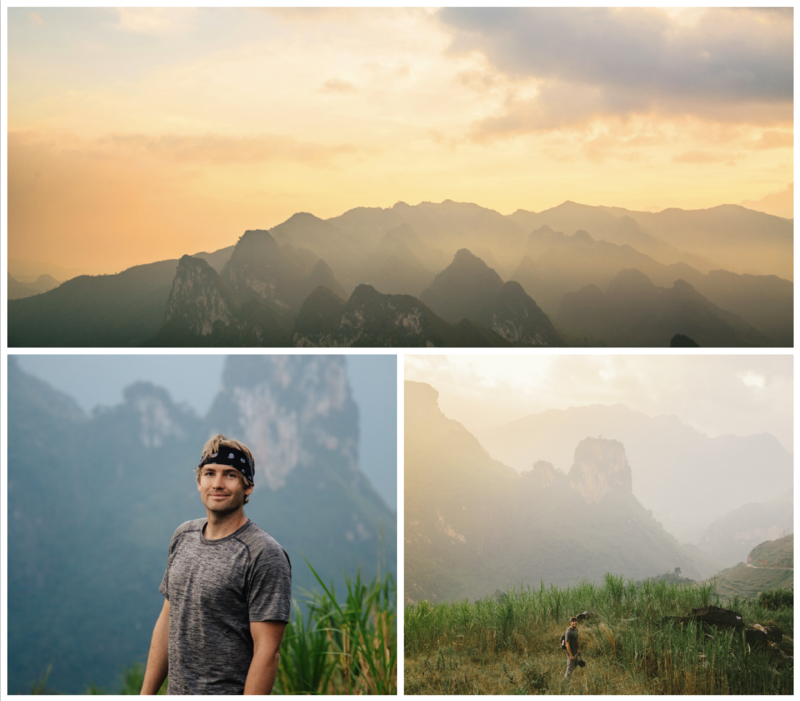 0 Comments on "How to Travel in Ha Giang / Exploring the Dong Van Karst Geopark"